Well it certainly has been an 'interesting' week here in Christchurch. I hope that all our members are safe following the massive fire. A very scary time indeed. Huge thanks to all those firefighters who put their lives on the line to keep us safe. Never have I prayed for rain (torrential downpours in fact) more that I did this week. 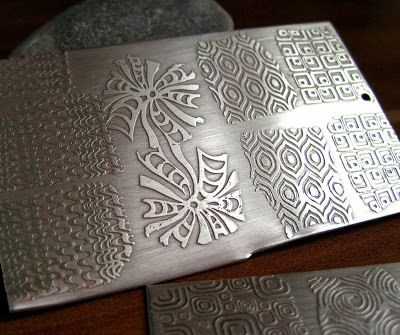 Learn the art of etching beautiful designs into your metal. Janet will show you the techniques along with tips and tricks for a better product. There will be a new batch of etching solution ready to go and you can bring pre-prepared items if you want. Bring some silver to etch, some cheap nail polish and a good sharpie. Contact Janet at singlewhitepixel@gmail.com to enrol. GUILD BBQ: Feb 26th 3pm onwards. John has graciously offered to host our annual BBQ at his beautiful place . This is always a lovely afternoon and a great way to meet other guild members. BYO and bring a plate. Call John 03 323 6995 or 021101 6288 to let him know you are coming and what you will bring. A workshop induction sheet has been added to our class booklets. These must be signed off by the end of the set to allow you to move into the next level. This allows us all to know that we are confident in the use of all the itemized tools in our wonderful workshop. Make sure you look for this sheet and get it signed off. It has been bought to our attention that we must have a licence to play music or radio in the guild. Until further notice there is to be no music played whilst at the guild or we potentially could be fined. Thanks for your understanding.